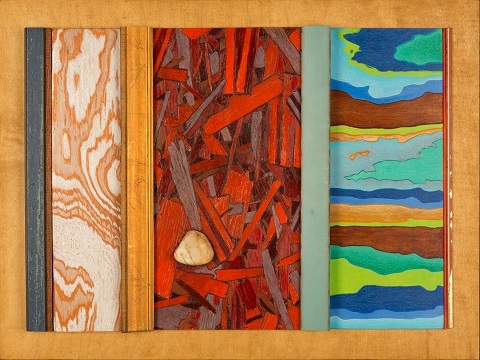 30″ x 11″ each panel. Kirsten Fischler, a native of West Chester, PA, has developed a unique style of art making that incorporates recycled building materials in such a way the leftover mundane is transformed into rustic refinement. 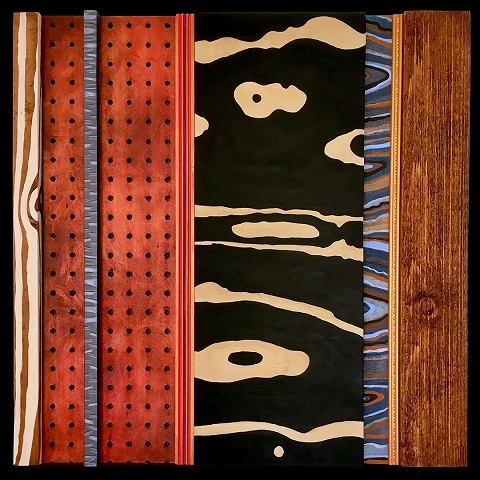 She has been working with reclaimed wood and mixed media for over twenty five years. Fischler received a BFA from Rhode Island School of Design in illustration, and an MFA in painting from Pratt Institute. She has taught at Moore College of Art and Delaware College of Art and Design. Fischler’s work appears in the book, 100 Artists of the Brandywine Valley by Catherine Quillman. 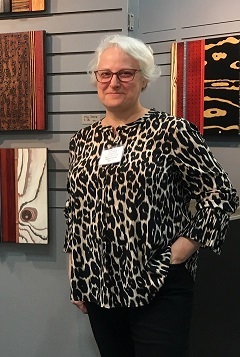 Her work is in corporate collections in the mid-atlantic region, and private collections in the US and Europe. She now works and resides in the historic town of Salem, MA.